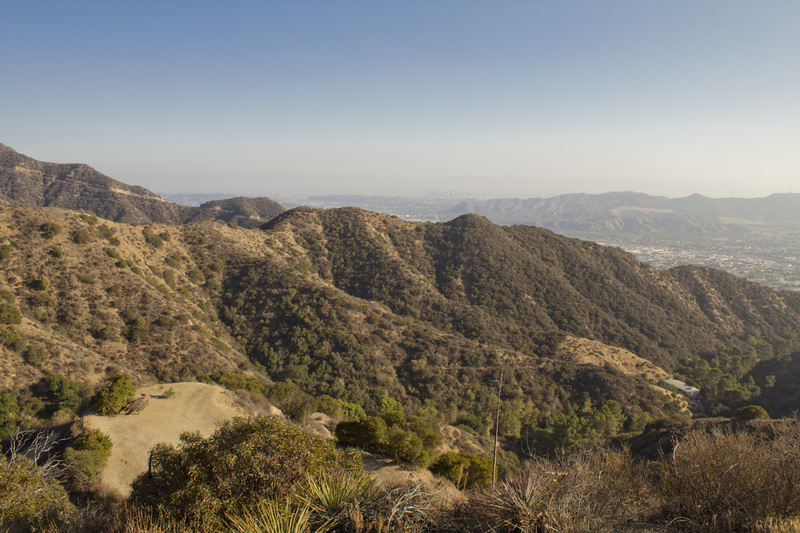 ADVISORY NOTICE: All hiking trails in the Verdugo Mountains are currently closed due to the La Tuna Canyon Fire that consumed nearly 6,000 acres over Labor Day Weekend. Updated 9/3/17. 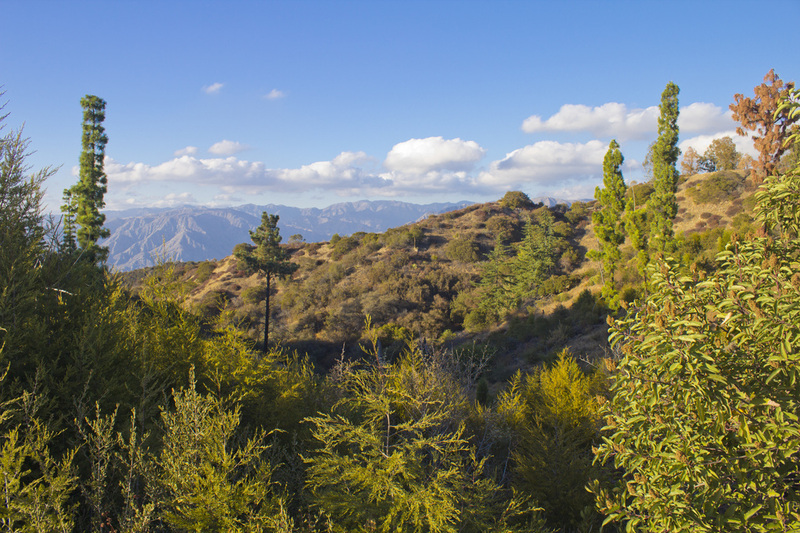 At 3,126', Verdugo Peak is the second tallest peak in the mountains that surround the San Fernando Valley and is the highest vantage point in the Verdugo Mountains proper. 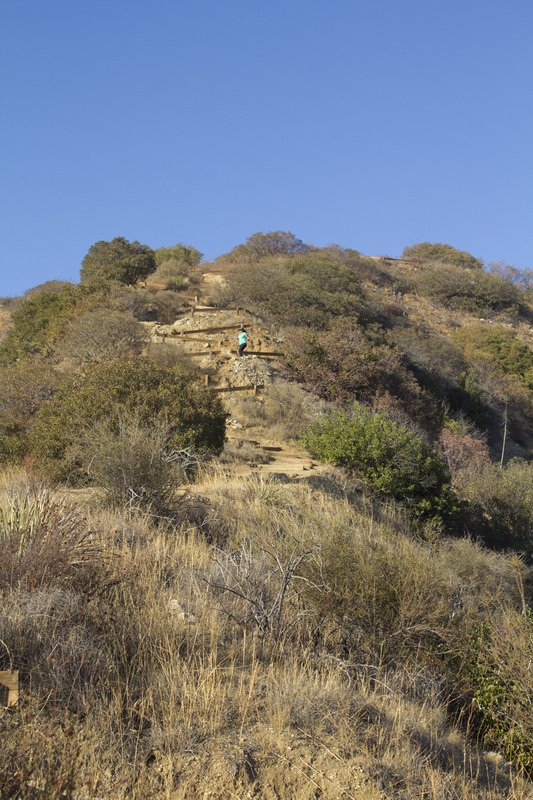 The mountain itself is incredibly close with the trailhead to the summit only minutes from downtown Burbank, but getting to the top is a bit more challenging. Almost the entirety of the 1500' ascent is accomplished in the first half of the hike on a narrow, twisting single-track use path, making for a steep, delightfully wicked climb. 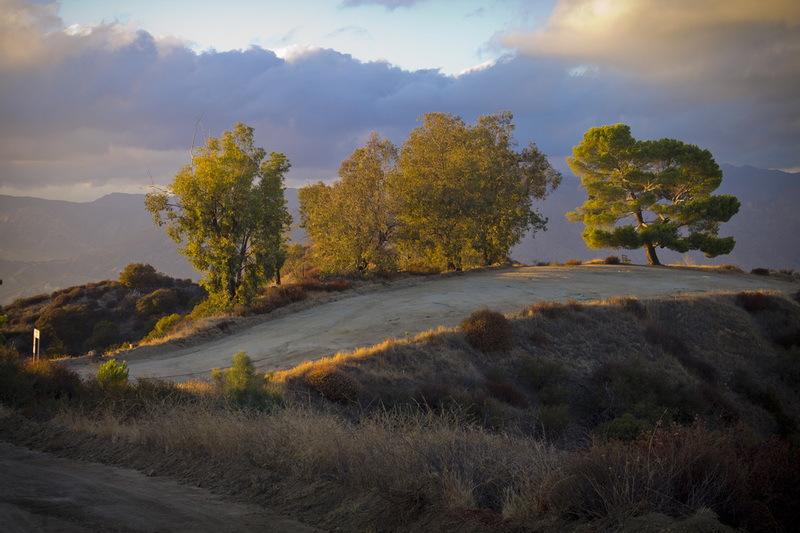 Once you make it to the ridgeline, the hike becomes a stroll along a groomed dirt fire road, the Verdugo Motorway, all the way to the summit of Verdugo Peak. 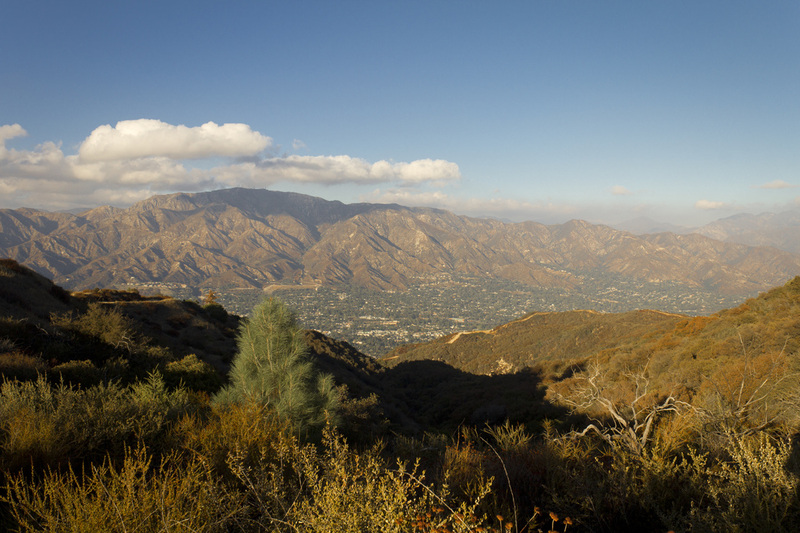 Along the way you will be treated to breath-taking views of the San Fernando and Crescenta Valleys, with the San Gabriel Mountains serving as a backdrop to the east. The Plantation Lateral Overlook offers a picnic spot with a view and the only shade along the trail. 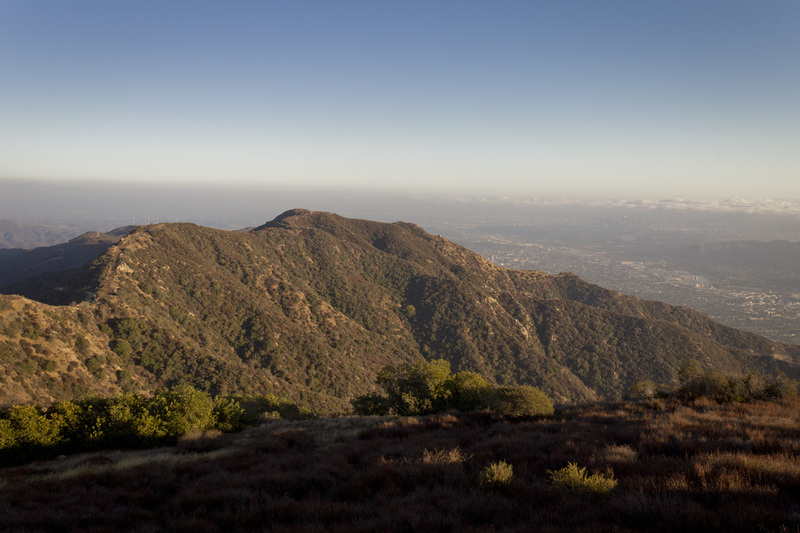 With Verdugo Peak you get it all: break a sweat, bag a peak, beat a challenge and take in a view! When you enter Wildwood Canyon Park, drive about a half mile on Wildwood Canyon Road to the third stone arch on your left. The arch and nearby restroom facilities mark the trailhead. Park on your right. 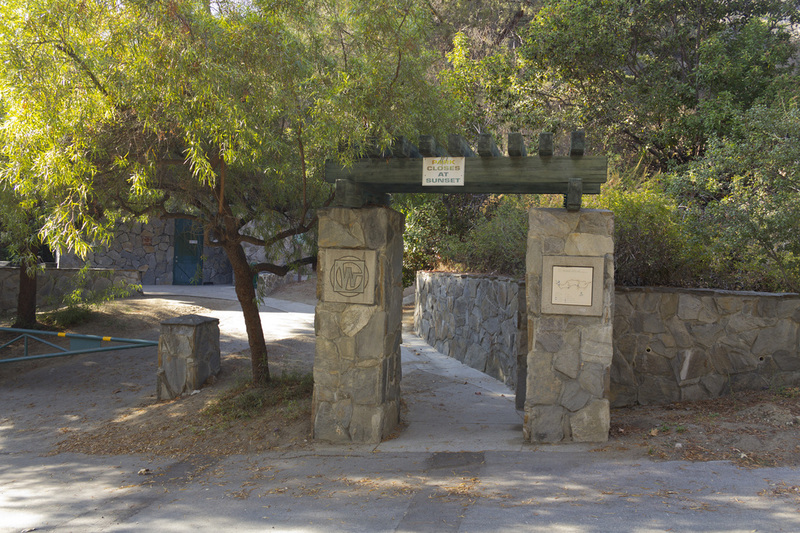 The trailhead is located at the third stone arch on Wildwood Canyon Road. 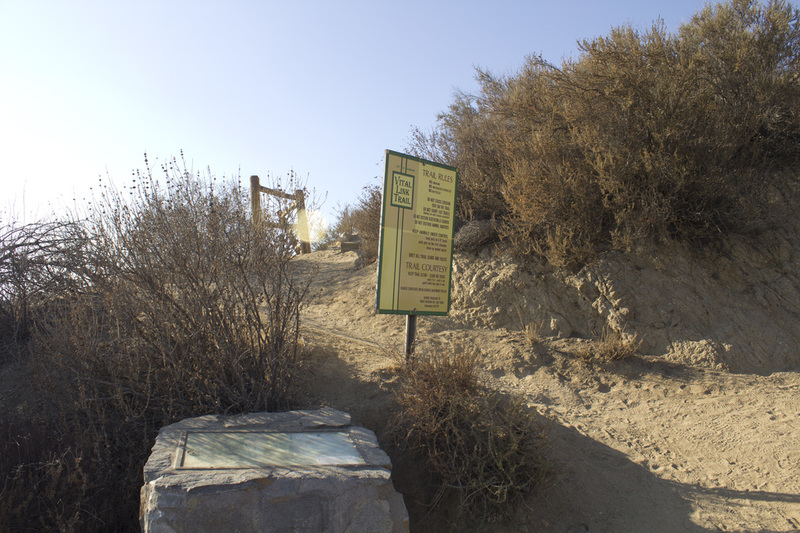 The access trail you have been climbing intersects with the Wildwood Canyon Trail. Junction located on the left side of the trail. and Griffith Park in the distance as Wildwood Canyon falls away below you. you thought the trail was steep to this point, it's about to get a whole lot steeper! erosion. Besides, you chose this trail for the challenge and cutting is cheating! a good place to sit and take in the views before continuing. and the San Gabriel Mountains. add .2 mile to your total mileage. trail of only about .1 mile, but it gets you off the fire road for a little more rugged feel. If you prefer not to make the slight climb, you may stay on the fire road. track trail veering off to the left. which will bring you to the backside of the antenna. The single-track is a shortcut.